The Headbone VT is a specially designed switching device that lets you toggle between two tube amplifier heads using a single speaker cabinet. 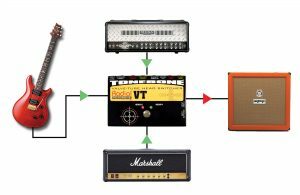 This provides the ability to experiment with different tonal options and perform without hauling two speaker cabinets to the gig. With the Headbone in your rig, you can access your choice of amplifier with a single footswitch, giving you the ability to easily select between one amplifier for rhythm, and another one for solos. 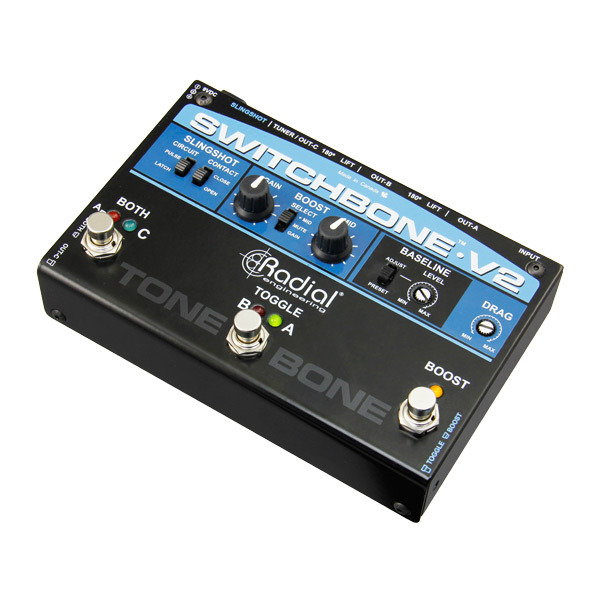 To eliminate long cables running across the stage, you can switch the Headbone remotely with a Slingshot input that allows you to connect any standard footswitch or MIDI controlled contact closure, further streamlining your setup on stage. 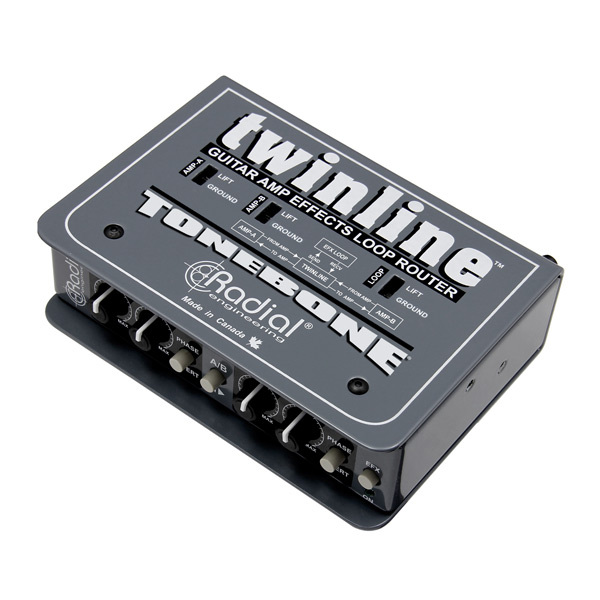 For the ultimate amp-switching rig you can combine the Headbone with the Tonebone Twinline, which will allow you to switch your effects loop at the same time, so your effects pedals follow the active amplifier. 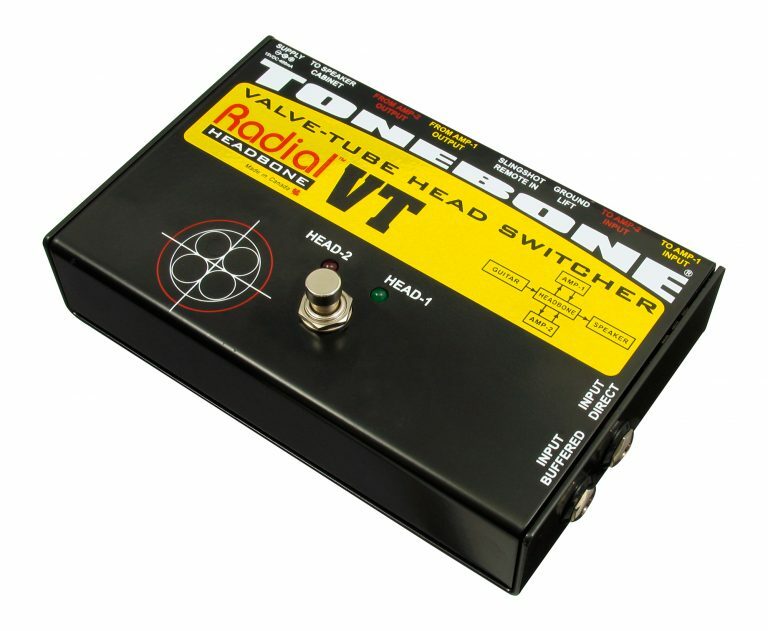 Use the Headbone VT to switch between two tube amplifiers. The Headbone will safely switch the amps and make sure the tube output stage always sees a load. 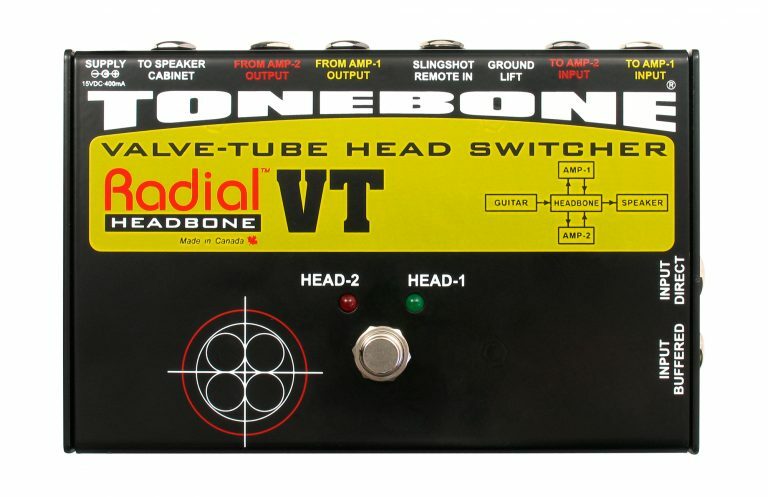 "The Headbone does exactly what it promises, and does it very well." 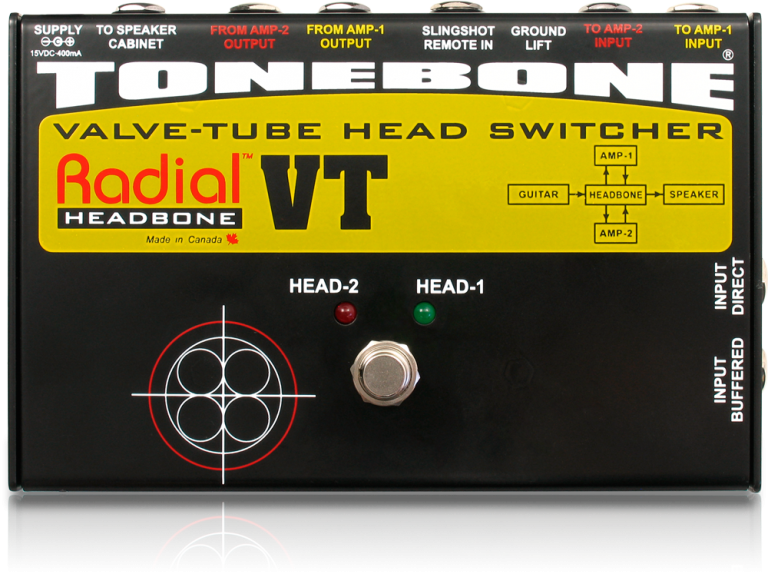 "The Headbone VT by Radial has been in my rig for years, and has never let me down." 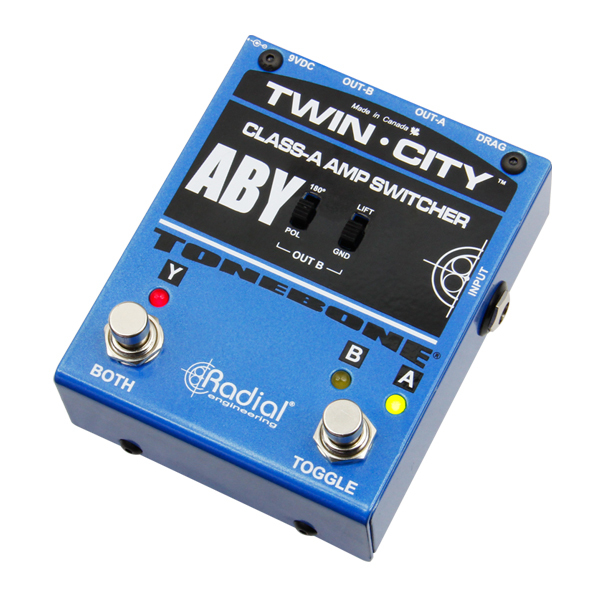 The Twin-City™ is a class-A ABY switcher with Drag control that delivers your guitar tone without introducing harsh sounding artifacts. 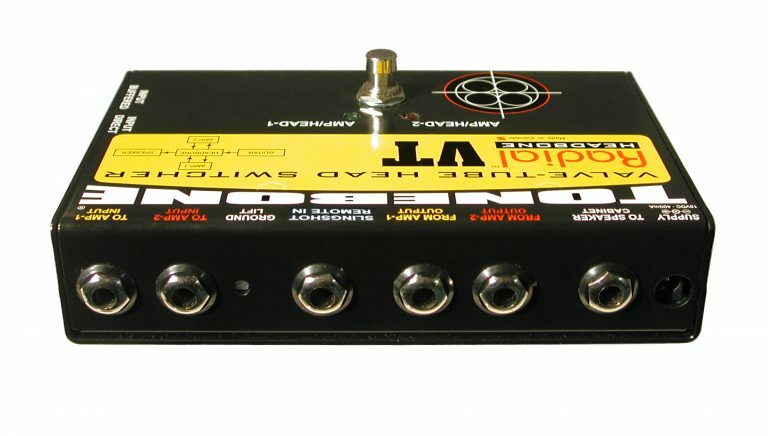 Ground isolated to eliminate hum and buzz from ground loops. 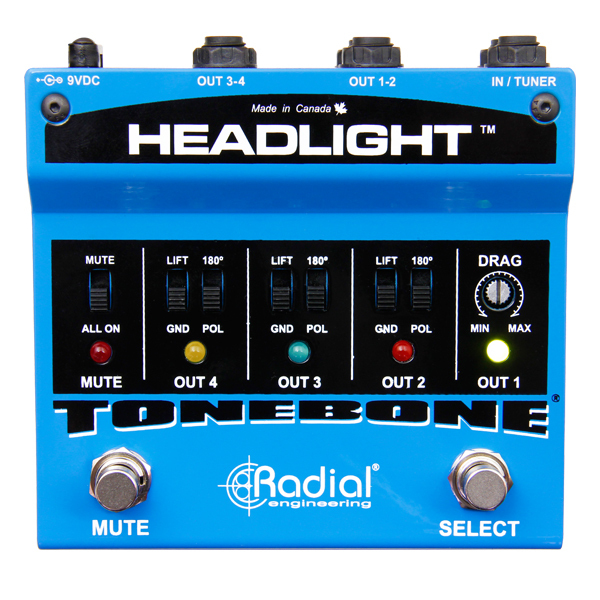 The Headlight is a unity gain guitar amp selector designed to easily integrate on a pedalboard and allow the artist to seamlessly switch between as many as four amps using a single footswitch. The Radial Twinline is a unique device that enables a guitarist to share effects pedals between two amps when using the amplifiers' built-in (rear-panel) effects loops. 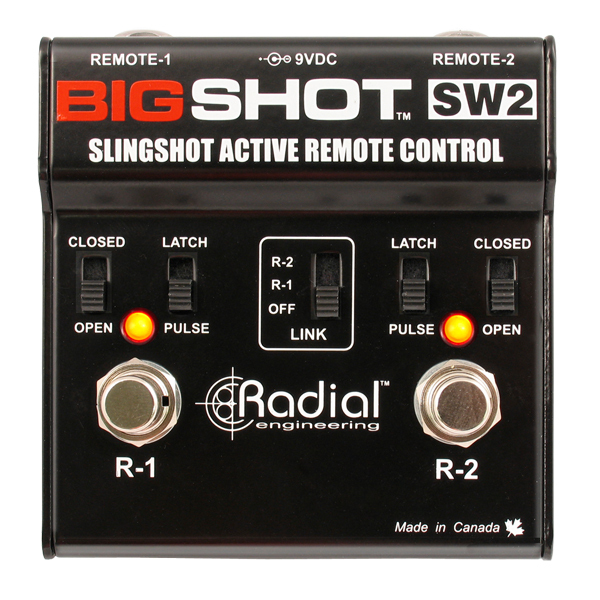 The Radial BigShot SW2 is a dual output remote control with choice of latching or impulse settings to control two amplifiers or effects. 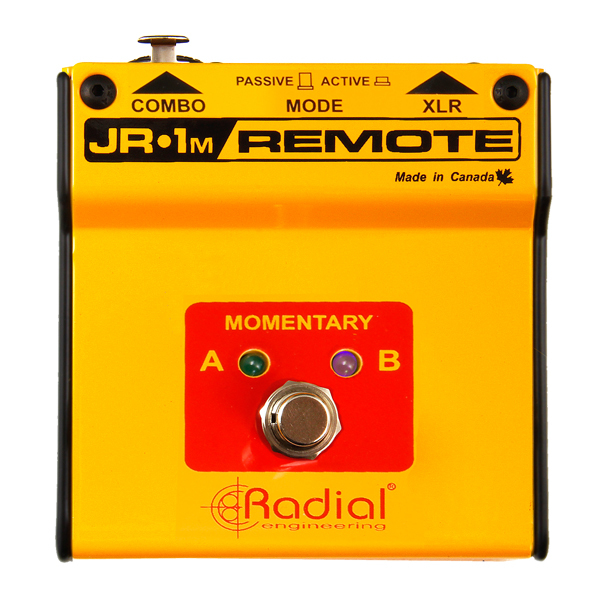 The Radial JR1-M is a single action momentfootswitch designed to remotely control a function such as selecting A or B outputs. 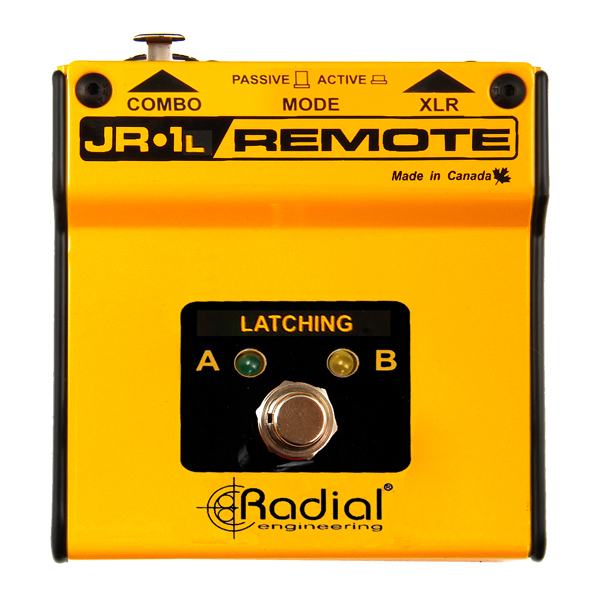 The Radial JR1-L is a single action footswitch designed to remotely control a function such as selecting A or B outputs. © 2019 Radial Engineering. All Rights Reserved.